Hi there! Hey there! Welcome! It's Wordless Wednesday, time to link up and hop with The Disney Wordless Wednesday Blog Hop here at Focused on the Magic.com! I'm so glad you stopped by today and I hope that you'll link up your Wordless Wednesday. 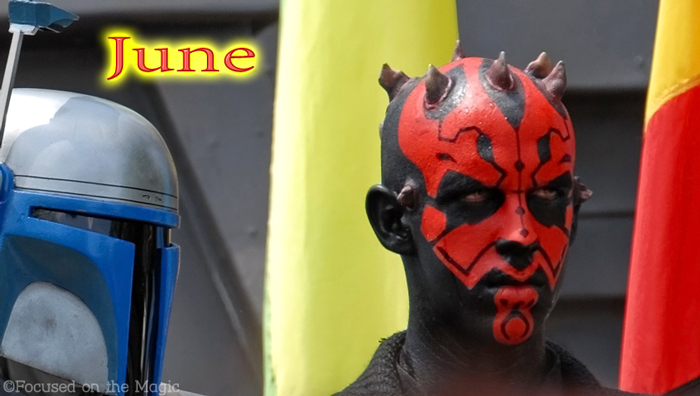 The theme this week is "June Calendar Shots". You may be wondering what that means. It's easy. 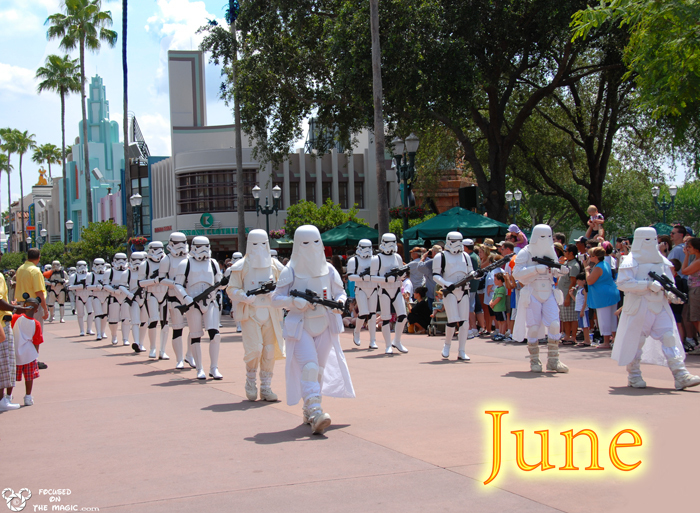 If you were to make a 2012 calendar, which one of your Disney pictures would you use for the month of June? It's always a difficult choice for me. I knew I wanted it to be from Star Wars Weekend since it happens in June along with celebrating Father's Day during the month. My husband is a Star Wars fan along with my sons. I couldn't decide which picture. Please help me out, which one do you think I should use for the calendar? Such great Star Wars shots! I would have to go with the first one because the second one just creeps me out. So realistic looking and I don't know if you'd want to stare at that for a whole month. Thanks for hosting the link up as always. I'm with the crowd on this one. Both shots are awesome! I'd go with the Storm Troupers though! Great shots! But I think I'm in the minority because I would definitely pick the Darth Maul shot, it's awesome! :D Thanks for hosting! The force says that their both great pictures, but go with the top one. As always, very cool pics, Deb! Both great shots! Yay Star Wars! Thanks for hosting the hop! Those are both great shots!! I would have a hard time choosing. Both are great, but definitely the first one. Second one is creepy (in a good way).